YouTube has been a haven for filmmakers ever since its inception, cultivating projects that explore the boundaries of character depth, multi-faceted storytelling, action choreography and special effects. The site is especially unique for filmmakers, providing an immediate response from the audience by way of the comment section, likes and shares that permeate from the video. Short films featured on the site such as Code 8, Writer’s Block, Power/Rangers, Castello Cavalcanti and Adam, among countless others, showcase the broad spectrum by which genre, budget, narrative and emotion play into the final product. Yet one of my favorite subsections of short films on YouTube has to be horror, simply because witnessing the ingenuity of stretching minuscule budgets into a carnival of scares impresses me – it’s why I came to fall in love with a short titled Lights Out. Fear of the dark is instinctual, something primal that points back to our ancestors and our intrinsic fear of something unknown blanketed in the darkness. This is the premise of Lights Out – the only savior is light itself. Lights Out is effective because of its simple idea and emotional connection it latches to the audience because, let’s be honest, we’ve all had moments in life where we’ve been scared of the dark. Prompting success from the short, director David F. Sandberg arrived into the sanctum of big budget horror, being handed the reins to recreate his short into a feature length film with Hollywood wonder James Wan helping along the way. Comparatively this situation felt similar to the circumstances of many viral comedians today who are making the jump to network television and movies; in the sense that will they be able to translate and stretch their material beyond the random clips and skits that they’ve already conquered or will they falter under the spotlight, scurrying back into hovels of internet stardom. Would Lights Out be an engaging full length horror movie or would director Sandberg fall short at the doorstep of becoming Hollywood’s next big thing? Lights Out is based on the short of the same name, this time creating a new story from scratch about a child named Martin and how his experiences with his mother Sophie mirror those of his older sister Rebecca. There is an unseen terror that has formed a bond with Sophie, causing Rebecca to have to discover the truth and save Martin before the lights go out. The film stars Teresa Palmer as Rebecca, Gabriel Bateman as Martin and Maria Bello as Sophie, with Alexander DiPersia playing Rebecca’s budding boyfriend, Bret. Ever since I saw that Lights Out was becoming a feature length film I remained ecstatic all the way till the opening credits. Thoughts of it being a typical PG-13 horror flick and maybe not living up to the standards set by recent horror gems nitpicked at my mind but I decided to forgo them and let the picture breathe on its own. 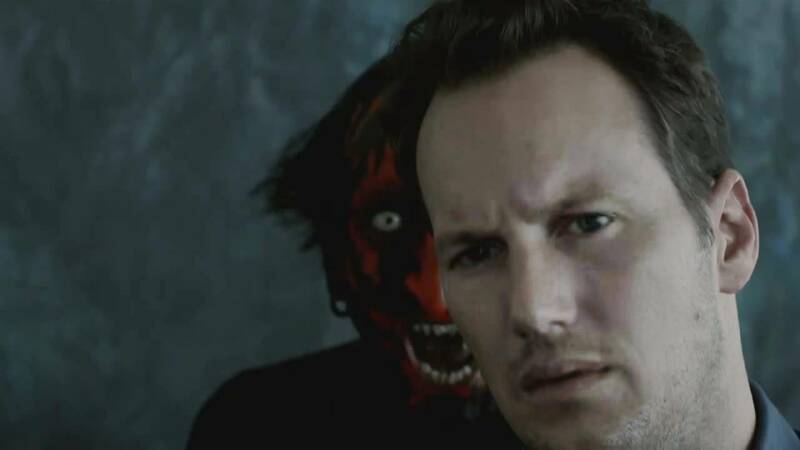 Fortunately, the film can be described as a blend between films like The Babadook and Mama, which carry underlying psychological examinations with their creepy creatures, and movies like Annabelle and Ouija in terms of polish and sheen. No matter the intensity of the light bulb or how many there are, there is always a sinking feeling that at the edge of the light, something is watching. The story of Lights Out is, first off, a successful translation from short film into a feature length project. It takes a sort of character profile approach to generational mental illness, depression and enablers, made all the more terrifying in that the key ingredient for the film’s scares can be found almost anywhere – darkness. Compared to The Babadook, this movie’s use of the monster being used as a vital theme for character depth is significantly blunter, though similar in it’s success at keeping a small and contained story multi-dimensional with Rebecca trying to protect her brother from the psychosis of her mother. The cast is especially competent at portraying this side of the story as well as when things start to bump in the night, with child actor Gabriel Bateman really giving a solid performance that never becomes gratingly annoying like the kid in The Babadook or frustratingly stupid like most children in horror movies, yet instead adds another younger, more vulnerable perspective to the nerve-wracking tension. I don’t know if it’s the added magic touch of James Wan combined with Sandberg’s idea but this movie is genuinely scary. Similar to The Conjuring 2 in the respect that a large portion of the jump scares in this movie aren’t the cliché cat jumping out of the darkness but the actual entity is really terrifying. No matter the intensity of the light bulb or how many there are, there is always a sinking feeling that at the edge of the light, something is watching. It’s agreeable that PG-13 isn’t all that wild compared to its R-rated big brother but don’t let it’s viewer rating fool you – those limits are pushed incredibly far and they work within the space that Sandberg and his crew have created. ‘Diana’, the damaged, dark-obsessed ghoul that has claimed childhood ties to Rebecca’s deranged mother Sophie, is awesome. A far fledged update from the (still admittedly terrifying) spectre from the short film, her obscurity makes for an antagonist with far more teeth-grinding intensity than the overly gothic and dramatic monsters from movies like Sinister, The Conjuring and the laughable diet-Darth Maul demon from Insidious. Every move she makes leaves you staring into the richest blacks in each frame, searching the nooks and crannies of the screen searching for each sign of her presence. Diana’s dominion of the darkness alongside her violent ferocity ramps up to the film’s conclusion which is a doozy. As great of a horror threat Diana is, she’s the latest example of one of modern horror movies’ worst tropes – the need to over explain the villain and their motivations. Admittedly, the reasoning for some terrors needs to be explained for plot purposes or to send home the points of emotional attachment to certain characters, but more and more horror movies are needlessly finding it necessary to reveal a villain’s home address, their favourite TV show and how they like their steak cooked. Lights Out falls victim to this syndrome as well, with a key story element involving Diana’s transformation, which I could tell from the trailer was going to be stupid. Why not harken back to A Nightmare on Elm St and give the audience a concise origin to our antagonist without feeling the need to seed every little detail of their life prior to the movie we’re watching? Another scratch at the picture is its lack of imaginative elements when it came to the darkness – it seems to fall back onto a bland checklist of what the average writer or director would think of if you gave them this concept, only really fleshing out fresh concepts towards the movie’s end. There is this feeling that the focus wasn’t on anything extra that would add to the film, but a notion of maintaining a bare bones structure supported by the story, characters and monster, leaving me slightly disappointed. All in all, I’ve rooted for Lights Out because I love seeing new and original horror on the big screen and hope for an influx of films to hit the market in the coming years. With competent characters wound in a narrative that is far tighter and smarter than a PG-13 horror flick has any business being, Lights Out is a surprising pop out of the darkness. Highlighted by an awesome concept and reinforced by a chilling monster, the movie is only dragged down by over-emphasis of horror beginnings and lack of creativity in the concept’s approach. Lights Out drenches you in darkness, leaving you running to any light source whatsoever. Built on a scary premise, pillared by a competent cast and anchored by a horrifying creature, it’s one of 2016’s scariest horror movies so far.